The Association for the Conservation of Threatened Parrots or ACTP as it is affectionately known, started literally as one man’s dream in his humble backyard. The year was 2006 and the man was Martin Guth, a German parrot lover all but unheard of on the world stage. But one thing would prove to set this man apart from the rest; his drive to succeed in the realisation of his dream was and still is, all but unparalleled! I was lucky enough to have Martin invite me to visit ACTP in September last year and I can honestly say I was completely blown away by what he has achieved there in the space of just a few short years. From its humble beginnings in a suburban Berlin backyard in 2006, ACTP has now grown to become a stand alone facility that I can confidently say is unmatched the world over. The construction of the new facility commenced in 2011 after the acquisition of a much larger block of land, and as of the time of writing is approaching 50% complete. Upon entering the facility it is immediately apparent that you are about to view something special. German precision and perfection is instantly evidentin terms of the construction and functionality of the facility itself,as is the professionalism and enthusiasm of the ACTP team. I was introduced to Head Keeper Enrico Sydow and his deputy, Katrin Scholtyssek, who is also the resident biologist, and after a short space of time it was very evident as to why Martin had hand picked these two for the job of managing the day to day running of the facility. Not only are they both extremely knowledgeable when it comes to the birds, but their knowledge is matched by their sheer enthusiasm for the birds as well as the dream! It is evident that Enrico and Katrin also have a great feel for the birds, both clearly recognising the differing personalities of individualswithin the facility and tailoring their management accordingly to suit their needs. 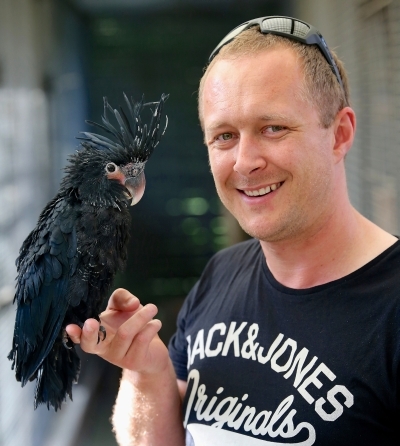 Martin’s passion for parrots began many years ago and his desire to work with and help to conserve some of the world’s rarest species has only grown with time. His love and concern for them is immediately evident upon meeting him and even more so when he is showing you around his magnificent facility. Martin is in many ways a rather divisive character, with many people in the international avicultural community not quite sure what to make of the man who, having risen from being a virtual unknown,has become top of the pack in just a few short years! But for him this is of little importance, instead he is only concerned with the tireless pursuit of his goals and dreams and the care of and ultimately success with the rare charges that ACTP has in its care. It’s all but impossible not to be immediately impressed as soon as you pass through the main gate into the facility; the entire set-up is immaculate. 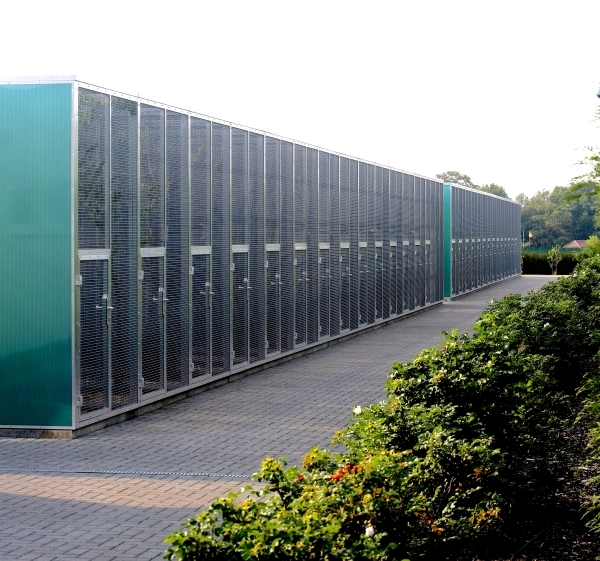 Currently it consists of two long rows of aviaries, though each row is divided into smaller banks of aviaries designed in such a way that each smaller bank can be sealed off completely from the neighbouring banks. Thus preventing the spread of disease throughout the entire collection if a bird was to come down sick. 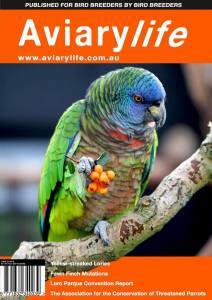 A third bank of aviaries is currently under construction, which once complete will be the biggest bank to date. Construction won’t stop there though, as the completion of this third bank of aviaries will only bring the facility to approximately 50% of it’s planned size.So the evolution of ACTP will continue well into the future. I am very excited at the prospect of following the progress as the facility continues to evolve! Each flight is huge in itself, with the outdoor flights being between 12m-15m long; in addition to this the indoor flights are another 3m in length. The construction work is second to none and the thought that has gone into the design leaves nothing to be desired. All indoor flights are heated during winter via underfloor heating and the birds can be easily locked in or out as necessary. Video cameras are set-up throughout, within the outdoor and indoor flights and nest boxes, so that each pair can be easily monitored at any given time. Each aviary is equipped with dual feed stations that double as catching cages and also allow for individual birds to be more easily monitored and medicated if need be. The outdoor flights are constructed out of aluminium and the highest-grade galvanised weld mesh. And the indoor flights are of brick and tile construction. The materials throughout are of the best quality; quite frankly no expense has been spared. In all honesty, the aviaries at ACTP have been built to a higher standard than most houses that I have ever set foot in! Food prep is carried out in a kitchen area better equipped than that of many restaurants, complete with walk in fridge and freezer and an industrial dishwasher. Benches and bowls are of food grade stainless steel. Only the best quality foods are fed and variety is paramount. The quantity fed to each bird is carefully calculated and monitored and portions are weighed out accordingly for each feed. A fully equipped off-site quarantine station is maintained some 45 minutes away to allow for full-scale isolation and monitoring of new arrivals, even in larger numbers. 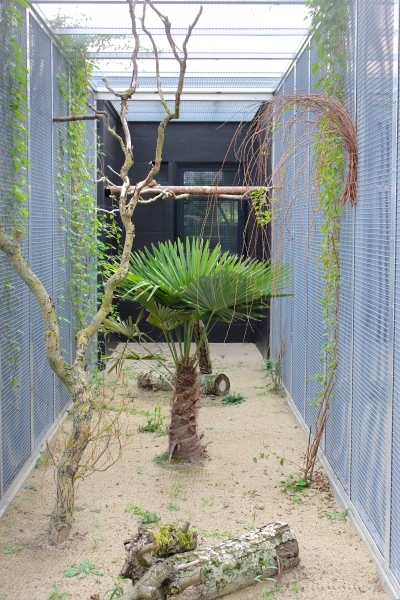 However, small-scale facilities are also maintained on-site to allow for birds to be isolated in the case of illness. A number of smaller individual enclosures are housed within this fully contained room, which also features a state-of-the-art air filtration system and surgical operating facilities. The facility also features two fully equipped hand-rearing stations, featuring multiple Grumbach incubators and brooders, video monitoring and are climate controlled. 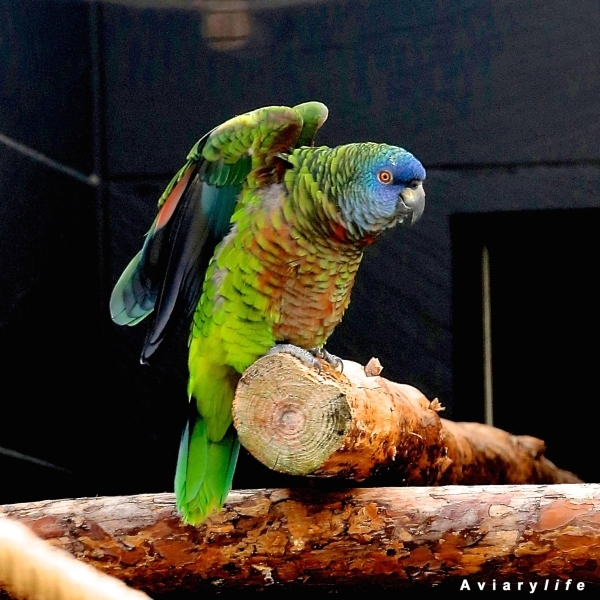 The facility has been designed with the housing and breeding of some of the world’s rarest parrots in mind and, to this end, a number of target species already call this place home. This includes the Holy Grail of the parrot world, the Spix’s Macaw (Cyanopsitta spixii), a species considered extinct in the wild and only numbers approximately 100 individuals in captivity. 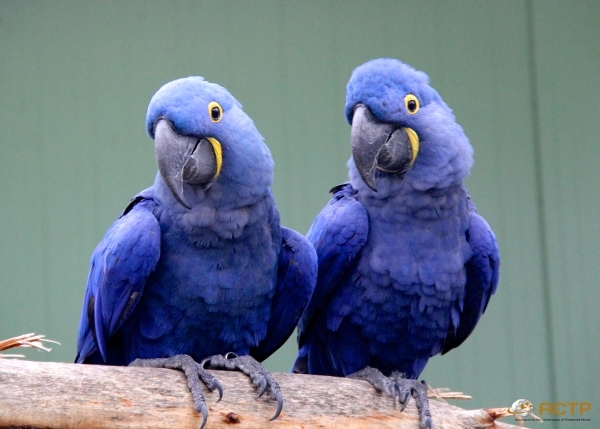 Regarding the Spix’s Macaw, ACTP work’s very closely with the Brazilian Government, and now plays an integral part in the recovery programme, the end goal of which is the reintroduction of the species into the wild. Martin set his sights on working with this incredible species over a decade ago and it has been his extraordinary drive and foresight alone that has seen the realisation of this goal. Although still in the early stages of their breeding programme with this species, ACTP has already achieved notable success with them and all signs are pointing towards another successful season in 2015. The success to date has been duly recognised by the relevant official representatives from the Government of Brazil and it must be noted that ACTP maintains a very close working relationship with Brazil’s Spix’s Macaw recovery team. In fact I can personally attest to the fact that the Brazilian Government holds both Martin and ACTP as a whole in very high regard. The achievements made by Martin and ACTP thus far in regards to this little blue macaw are to be commended and give me great confidence in terms of the positive role that they will play in the conservation of this species well into the future. 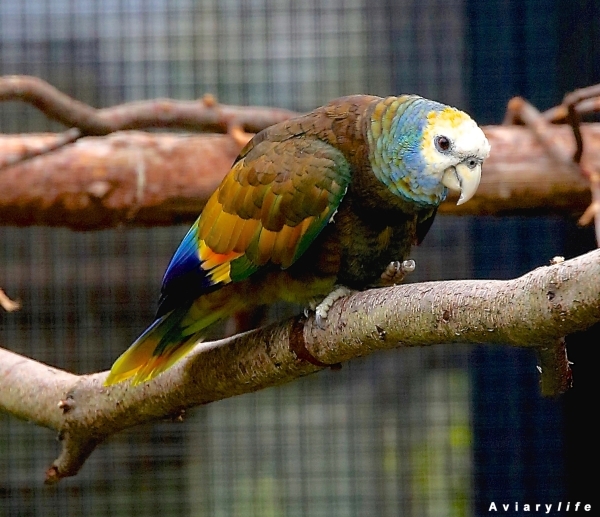 The Spix’s Macaw Recovery Programme isn’t the only endangered species breeding programme that ACTP is heavily involved in, they are also working very closely with the governments of St. Vincent and St. Lucia in establishing viable breeding populations of the St. Vincent Amazon (Amazona guildingi) and St. Lucia Amazon (Amazona versicolor) to help safe guard the survival of these two magnificent and rare Caribbean parrots. And to complement the work that they are doing from a captive sense, ACTP has also donated considerable funds to the respective authorities in both of these countries to facilitate education programmes aimed at educating the public as to the dangers faced by theseamazons and the importance of preserving them and their habitat. Again the governments of both countrieshold ACTP in very high regard and have placed much faith in Martin and his team, faith that I am all but certain will be repaid in full in time. 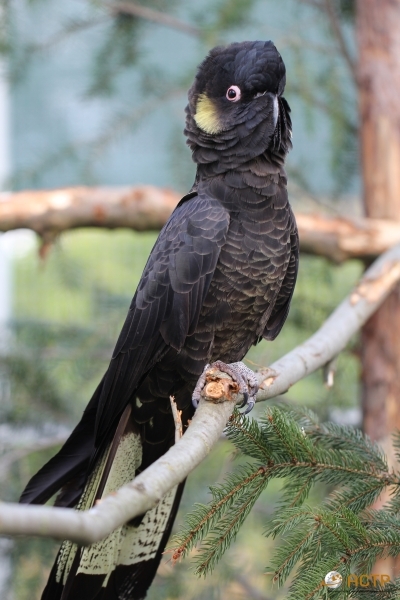 A number of other parrot species also call ACTP home, including: Palm Cockatoos, Red-tailed and Yellow-tailed Black Cockatoos, Gang-gang Cockatoos, Hyacinth and Scarlet Macaws, Red-tailed Amazons and Golden Conures, all of which I am sure they will have great success with. All in all you can’t help but be hugely impressed by ACTP and the man behind the dream, Martin Guth, who’s achievements to date are immense, especially given the relatively short amount of time in which they have taken place. 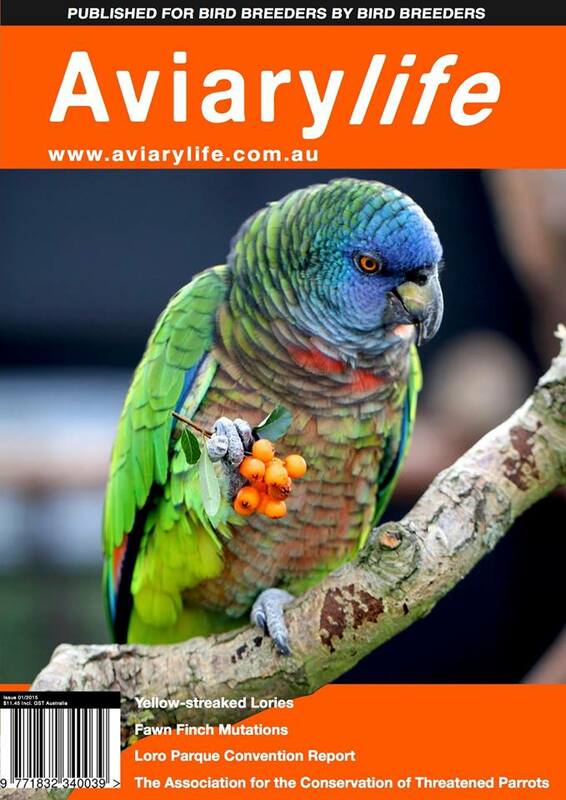 Having had the absolute honour and pleasure of spending a few days with Martin and his team at ACTP back in September 2014 I am in no doubt that this organisation will go from strength to strength and go on to play an increasingly vital role in the conservation of many endangered parrot species. So, thank you Mr Guth and co for affording me the time to show me around and to help me familiarise myself with your magnificent breeding centre, my visit certainly exceeded all expectations and I simply can’t wait to return! In very exciting news just at hand at the time of publication, I can reveal that Martin has informed me of ACTP’s latest success with their Spix’s Macaws! 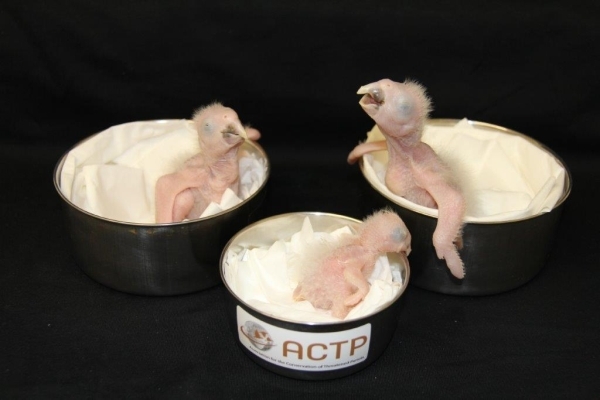 At the time of writing the ACTP Team is proudly rearing three healthy babies, which are yet more very valuable additions to the worldwide population of this extremely rare macaw. 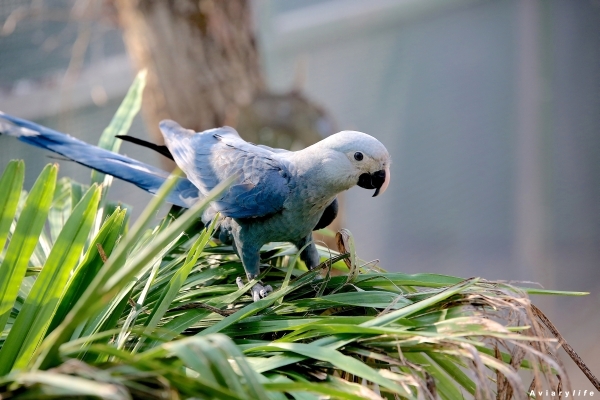 Very notably, this success represents the first breeding of the Spix’s Macaw worldwide for 2015! Huge congratulations go out to the whole ACTP Team on this most recent success. BUY THE NEW ISSUE OF AAL!!! Hiii……does ACTP provide volunteership/externship programme for vets?? Economic conditions in Iran are very bad. My wife and I can not live here. We are unemployed. I have several generous parrots in my house. My wife and I want to emigrate from this country. I do not enter too much, but I have to have a job. Please, help me to hope and work for you.